Have we got your phone number? Established in 1915, we are a busy Medical Practice serving more than 9000 patients. We are based at two sites: Offerton Health Center and Hillgate Surgery. As our doctors work at both sites; we ask all patients, where possible, to attend available appointments at both sites (especially if you wish to see a particular clinician). Manor Medical Practice has both male and female doctors, allowing patients the choice of which doctor they would like to see. We are linked to organ donor registration and our nurses have Diplomas in Asthma and Diabetes. We provide minor surgery - joint injections and cryotherapy; family planning advice and Smoking Cessation appointments. Our buildings are suitable for disabled access and have disabled toilet facilities. There is a large car park at Offerton Health Centre and free 1 hour on-street parking at Hillgate Surgery. We offer a wide range of appointment times with some appointments available from 7.00am and after 6.30pm. The NHS in Stockport is changing and it needs your help. The Government is investing an extra £20bn a year in the NHS as part of the NHS Long Term Plan. Now you can help your local NHS invest in the right support by sharing your ideas. Healthwatch Stockport has launched 'What Would You Do?' 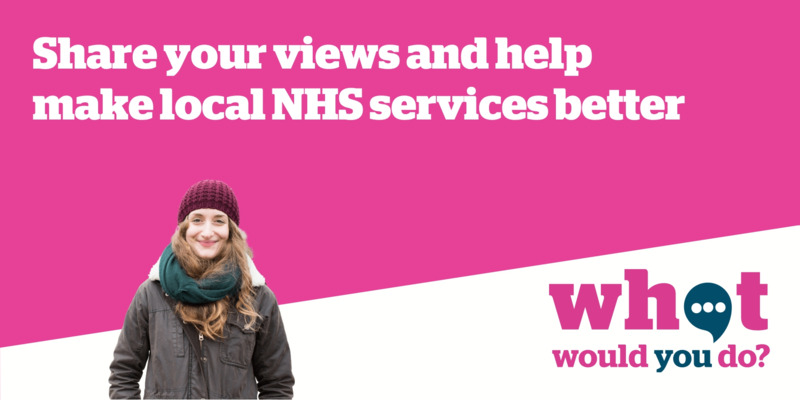 to gather feedback from the public on ways to improve local NHS services. They want to know how you think the NHS can help people live healthier lives, what would make local service better and how care for people could be better. To compliment our improved access, we are pleased to advise you that arrangements have been made in Stockport for 7 day access to GP and Nurse ROUTINE appointments - Saturday 9am - 3pm, and Sunday 9am - 1pm. The appointments can be booked in advance by contacting the surgery during normal opening hours, and we will arrange for someone to contact you to book in. Appointments are likely to be limited but will be particularly helpful if you struggle to get in during the working week. From November 2017, clinicians in A&E departments will start to use a system that will allow them to have access to your full GP records. Unless you opt completely, each time you attend A+E for emergency treatment, you will be ask for your permission for the clinicians to view your medical records. For more information, please click here. Please click here to view a leaflet that describes what you can expect to happen when your GP refers you to see a specialist or consultant, at a hospital or a community health centre. Please click on the link below to view our Patient Information Leaflet. To register for online access please ask at reception for an account letter. If you have a letter and wish to complete your registration please click here. If you are having difficulty with Patient Access please click here for support.